Glaucoma is an eye disease caused by elevated fluid pressure in the eye and is the leading cause of irreversible blindness. Fluid in the eye cannot circulate properly due to blocked mesh-like channels, resulting in the fluid buildup. This disease is often hereditary, and it is often passed on from parents to children. With no initial symptoms, the disease is usually difficult to detect except through a regular eye exam. However, early detection and treatment could help protect you against glaucoma-related eye complications and even vision loss. If untreated, glaucoma could result in loss of peripheral vision and eventual decrease in central vision and even total blindness in some cases. What Causes Glaucoma and Who Should Be Tested? This condition is mostly hereditary and is caused by a fluid pressure buildup due to blocked mesh-like channels in the eyes. It is recommended that those over 40 years of age should have an annual eye exam, especially if there is glaucoma in their family’s medical history. Those with diabetes should also consider regular eye exams because this chronic disease is a risk factor for glaucoma. Visual field test: This tests any loss of peripheral vision, a harbinger of glaucoma. Visual acuity test: Measures the clarity of vision at various distances. Dilated eye exam: The patient’s eyes are dilated to enable the doctor to take a closer look at the retina for any signs of eye problems. 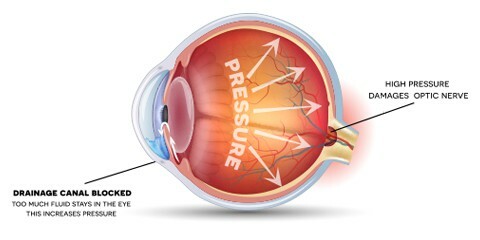 Tonometry: Measures pressure in the eyes of the patient to help detect glaucoma. Nerve fiber analysis: Involves the scanning of the patient’s retina to see the thickness of retinal nerve fibers. Pachymetry: Uses an ultrasonic wave to measure the thickness of the patient’s cornea.